Bring Home The Natives: Why plant natives? What is a native plant? What are some of the best native plants for central Florida and where do I buy them? Your Central Florida native plant garden can be a success with the advice in this free, full-color downloadbale brochure.Produced and distributed by the Suncoast Native Plant Society. Do you need help identifying native plants?. Download this Plant Glossary from the Guide to the Vascular Plants of Florida by Richard P Wunderlin. Five pages of terms to describe the structure of plants. Great for identifying plants in the field. Looking for native plants for your landscape? Go to FNPS.org/plants and select Hillsborough County. You can make a list of plants based on your needs (sun, moisture, butterflies, etc.). Each plant is linked directly to a list of nurseries that carry the plant. Cypress Mulch: Except for a few protected areas, the old growth Cypress forests in Florida are gone, and our existing young cypress trees are being clear cut for mulch. Find alternatives to cypress mulch for your garden, such as Pine,Melaleuca and Eucalyptus mulch. Click to download. 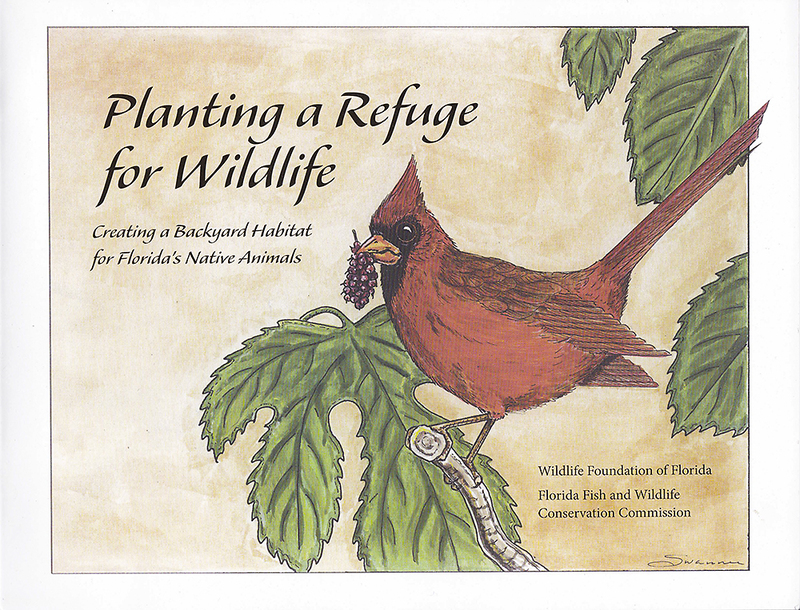 Planting a Refuge for Wildlife: This book is given to all new members of SNPS, but you can also buy one for $5.00. Look for them at our plant sales and meetings. 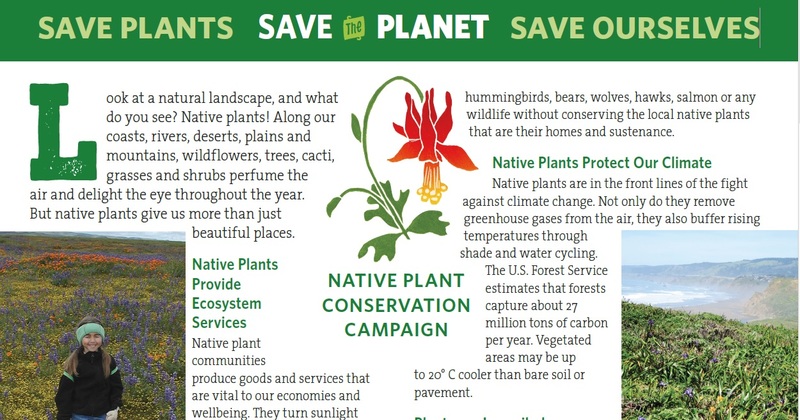 Download a printable brochure from FNPS partner the Native Plant Conservation Campaign! The Spring 2017 "Save Plants, Save the Planet, Save Ourselves" plant conservation brochure is now available. Please consider printing it out for use on Earth Day, the March for Science, the Climate March and other events. Let's tell the world about native plants! Click Here To Download a Print Quality Copy of the Brochure from Dropbox.